In Woolrich's iconic tale, Detective Tom Shawn saves a lovely young woman from a suicide attempt one night, and later hears her story. She is in despair because the death of her wealthy father has been predicted by a confidence man seemingly gifted with the power of clairvoyance; a man whose predictions have unerringly aided her father in his business many times before. Shawn and a squad of detectives investigate this dire prediction and try to avert the millionaire businessman from meeting his ordained end at the stroke of midnight. 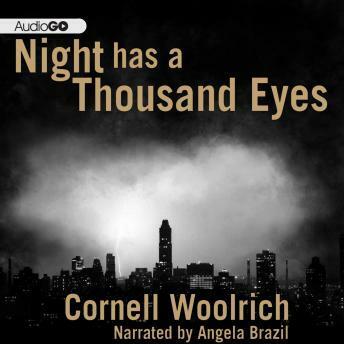 One of Cornell Woolrich's most influential novels, this classic noir tale of a man struggling with his ability to see the future is arguably the author's best in its depiction of a doomed vision of predestination.